Destiny 2’s first DLC, Curse of Osiris, is now live on PC. 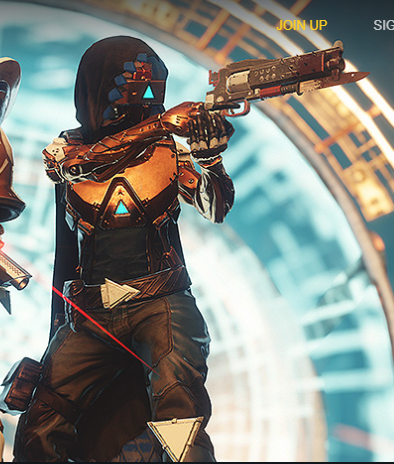 That means for anyone who owns the expansion pass, a variety of new weapons, armours, Crucible maps, story missions, and a Raid Lair are now available to play. Want to know more? Here’s everything you need to know. Check out our Destiny 2 guide hub for links to everything you could possibly need to know about Bungie’s epic shooter. Curse of Osiris released on December 5, and arrived on PC at the same time as on consoles. Hopefully that indicates that there is no more waiting for us when it comes to future updates. The expansion takes up 68GB of your hard drive in total, along with the base game. In Curse of Osiris, we return to Mercury to enlist Osiris’s help against a Vex plot. Warlock Vanguard Ikora Rey learns that the malevolent machines have opened a gate on the small planet during the Red War, and are gathering a massive, trans-temporal army. You go to investigate, and discover Osiris’s Ghost, Sagira. Sagira is voiced by Firefly alumna Morena Baccarin, and is your guide through much of the new story. 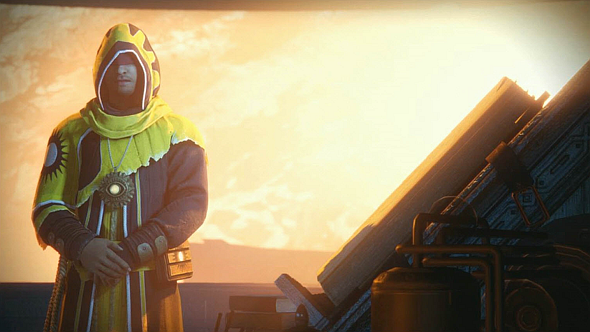 Brother Vance, the Cult of Osiris’s ambassador in the original Destiny, also returns as the world overseer for Mercury. According to a possibly premature listingon the Microsoft Store, Ikora will feature prominently, as we “rebuild the ties” between her and Osiris, her teacher. A Vanguard scout named Shiro, who first appeared in the original’s Rise of Iron expansion, is also mentioned in voice linesdatamined from the PC versionof the game. Osiris’s DLC is teased throughout Destiny 2. He’s referenced in the lore tab of the Vigilance Wing Exotic pulse rifle, which apparently was once a reward from the Trials of Osiris, and in two adventures on Nessus. ‘Deep Conversation’ sees him feed you information from within the Vex Network, while’Hack the Planet’ hints that he’s trapped there (hence the need for a rescue, I guess). He has plenty to tell us about the malevolent cyborgs and their plans for the galaxy. You can expect plenty of missions on the surface of Mercury, exploring the Vex network: a labyrinth of gates criss-crossing time and space. You’ll get to see glimpses of Destiny’s Golden Age, as well as the dark future you need to prevent. The experience level cap is being raised to 25 – presumably to accommodate the new story missions – while gear-based power levels will be raised to 330. Mods can then push you further to an absolute max of 335. After featuring only in Crucible maps, Mercury has finally been added as a full location. The Lighthouse, a hideout that appeared in the original game as a reward for conquerors of its Trials PvP mode, returns – it’s like the Church in the EDZ in that it’s not a fully-fledged social space, but an island of calm amidst the chaos of the planet outside. 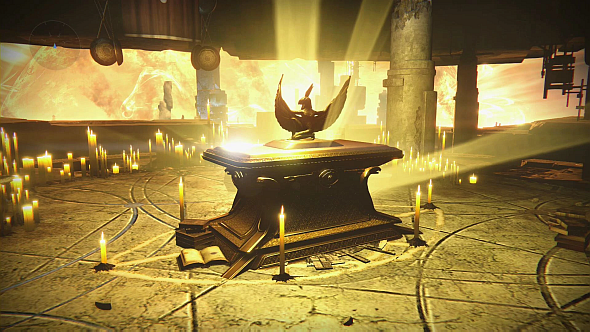 Brother Vance hangs out here, where the Trials chest used to be, and has his own reputation and engram system. The Lighthouse’s immediate surroundings are a playable space called the Plains of Glass. Here you’ll find a new type of public event and a bunch of Cabal who fled the Almighty, but there’s also a unique area called the Infinite Forest, built by the Vex in the hollowed-out core of Mercury. It is a simulated reality that the Vex use to observe all of time, and randomly reconfigures itself each time you explore it. This is the foreboding tangle of vanishing spires – called trees – that you can see in the reveal trailer. You access it via a teleportation gate, and some of its trees contain gates of their own that lead to past, present, or future versions of Mercury. According to theDestiny grimoire, Mercury was once a garden world. Presumably, like all the inner planets, the Traveler’s powers enabled humanity to terraform and inhabit it during the Golden Age. You get a glimpse of Mercury at this idyllic time by traveling to its past. During the Collapse, the Vex undid this work within days, transforming it into one of their machine worlds – in the future, the Sun has died, and there is no life on Mercury but the Vex. We also get to see something of this. 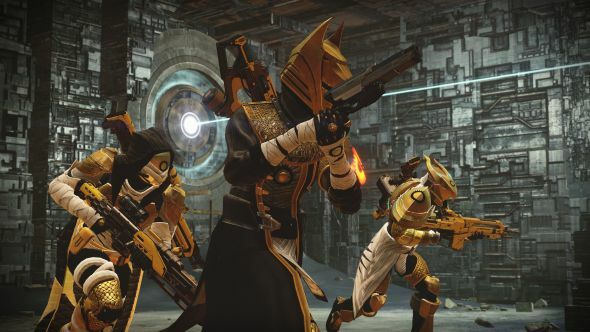 Curse of Osiris includes a new mini-campaign that’s roughly two to three hours in length. There is also a new World Quest, new missions, new strikes, new adventures, new Crucible maps, and new free roam activities, but the big question has always been: is there a new raid? 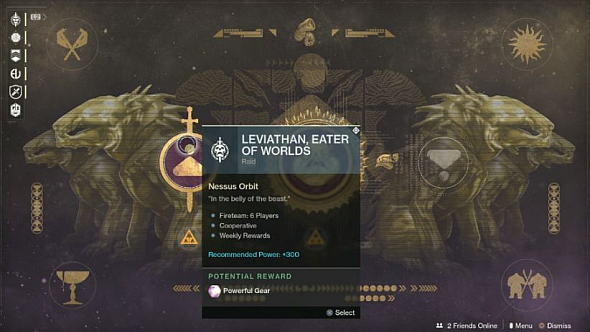 Eater of Worlds will be just as challenging as the original Leviathan raid, but will take less time to complete. It will go live “a short time” after Curse of Osiris launches on December 5, with its own Prestige mode following after that. A second raid lair will be added to Leviathan in the Rasputin DLC, which probably means no entirely new raids in Destiny 2’s whole first year. We don’t know what a raid lair is, but we know it’s not an entirely new raid, which is why this stings a little – and we say this as fans of Leviathan, which many in the community are not. There is reason to be optimistic though: Thorne said the main reason raid lairs exist is because Bungie “wanted to make more raids,” so maybe we’ll be pleasantly surprised by the content it offers. In other activities news, it’s worth noting that Destiny 2 will reintroduce the Heroic strikes playlist from the original game – a new strike difficulty level with better loot – and observe the Eververse icon in the UI of that screenshot above. It seems Destiny 2’s microtransactions store is getting its own activity – could this be a new way to get cosmetics for gameplay? Bungie’s second Osiris livestream went into more detail about the new activities, specifically: a new public event outside the Lighthouse, and two new strikes. The strikes will be integrated with the story now, in that they will essentially be campaign missions which you’ll then repeat in the strike playlist. The third and last of the hype livestreams was due to focus on the Osiris DLC’s new loot, but it was canceled so Bungie could address recent community discontent with the game. A day later, we instead got a brief, 50-second trailer sweeping over some of the new loot. 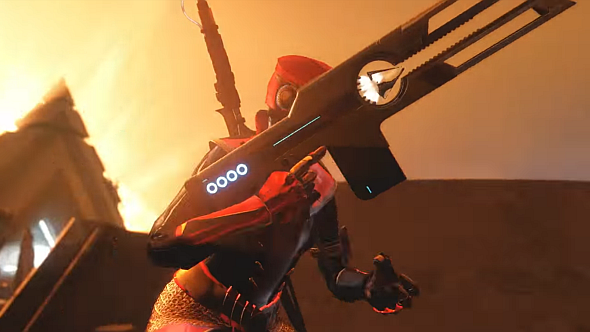 Coldheart will be joined by a second trace rifle with a red laser called the Prometheus Lens (see image above), and there’s a Veist-made gun that fires exploding spider robots. Both are Exotics, as is a delightfully daft new Titan helm with glowing horns. A new dance and a mic drop emote are both clearly visible, and there’s a brief glimpse of a slick ice-white Future War Cult robe. The header image from Bungie’s website shows a newhand cannon with a bayonet attached – fans of the original Destiny might see something Red Death-y about it. The second livestream also revealed ‘Lost Prophecies’ – a series of 11 quests, each of which will award a new weapon made from modified Vex technology. This is exciting in that it gives you much more control over the expansion’s loot – you can choose to go after a hand cannon or an auto rifle according to your preferences. You initiate these prophecy quests from the Lighthouse. This is the launch trailer, which shows a quick glimpse of new gear, enemies, and a Crucible map on Titan. 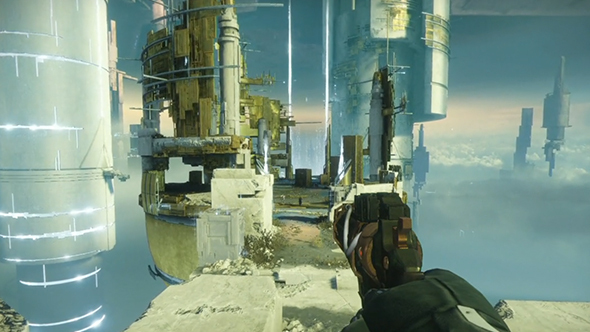 Most importantly, there’s a very brief glimpse of the new raid lair. This is the loot trailer that we got instead of the third livestream. Watch for a preview of the coming gear. 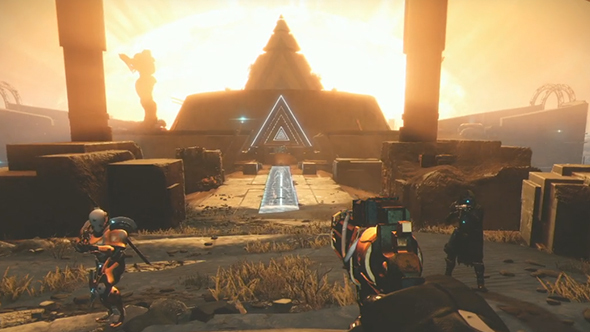 This is the opening cinematic of the Osiris DLC, courtesy of IGN. 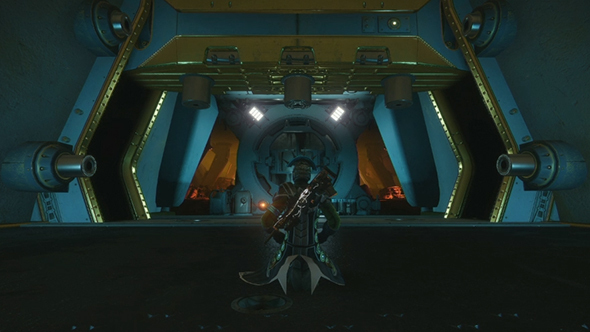 It shows the man himself pausing time and wandering casually through what looks like the Vault of Glass, using a puzzle-like device to see visions. He sees something he doesn’t like, and his time-controlling powers appear to slip. He then throws his Ghost, Sagira, through another gate onto Mercury’s surface. Presumably, we’ll find her when we travel there to investigate. 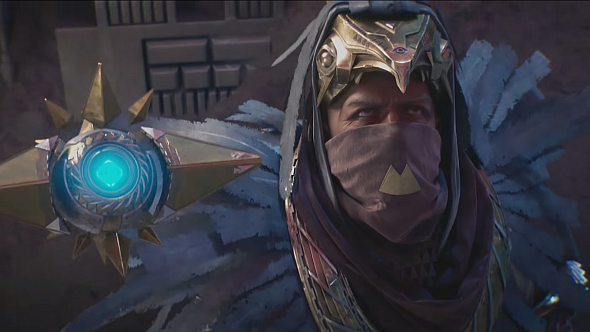 This is the reveal trailer from Paris Games Week, courtesy of Bungie. Destiny 2: Who is Osiris? As with all of Destiny’s most interesting lore, Osiris’s backstory is mostly buried in the original game’s grimoire cards. Here’s what you need to know. Osiris was a prodigious Warlock who fought so viciously in the Battle of Six Fronts – one of the City’s earliest and most desperate sieges – that he “appeared to be everywhere at once.” Shortly thereafter, the beloved Titan Saint-14 recommended him to the Speaker as Vanguard Commander. These questions – rather than the basic defence of the City – became Osiris’s preoccupations. “And then it got worse,” says the Speaker, as Osiris chased after Xur and The Nine and delved into the nature of The Darkness. This led to him prophesying the coming of Oryx, and coming “too close to understanding the Vex.” As he began to invest resources the City couldn’t spare into these divisive and dangerous obsessions, the Speaker felt obliged to intervene. Osiris was exiled from the Tower along with his followers, who the Speaker describes as a cult of Guardians “who wanted a clear idea of why they were fighting, what they faced, and how they would ultimately win.” Seems pretty reasonable to us, whereas the Speaker preferred them to take a lot more on faith. The Tower doesn’t know much of Osiris since his exile, so we don’t either. Hopefully though, you now understand a little more about why Destiny fans – especially lore nerds – are excited to finally meet him. Finally, a pet theory of mine, withspoilers for Destiny 2’s campaign(so don’t read on if you haven’t finished it yet). Still with us? Okay. Consider: could Osiris replace the Speaker? Last we saw of the latter, he was motionless on the floor beneath Ghaul’s feet, his mask discarded. The implication seems to be that he’s dead – though it’s not obvioushow,it’s not like he was shot or stabbed or anything. Anyway, there’s no sign of him in the Tower after the campaign. So the Speaker is gone, and the City needs a philosophical leader to ask questions about the nature of the Darkness and the Light. From the Speaker’s own description of his disagreement with Osiris, the rogue Warlock was always more interested in these subjects than in his duties as Vanguard Commander (and indeed, more determined to get answers than the Speaker himself). Who better to don the white robes? Osiris is clearly a divisive figure, and his succession would ruffle some feathers. But perhaps that’s why we’re repairing his relationship with Ikora Rey. It would also set the stage for Osiris to be a much more active Speaker than the original – presumably, his voice actor will be easier to book for future expansions than Bill Nighy. Update, 30 October:after the PC launch,voice lines were dataminedsuggesting that Osiris will return to the Tower at some point. This theory just got tighter.